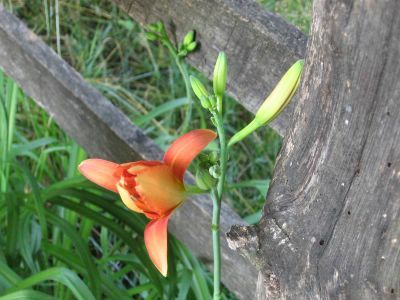 Will It Be One Fine Day Lily? This morning the first daylily of the season opened in the front yard. The fourth photo was taken exactly two hours after the first one. A year of Daily Photos ago: Where's Breakfast? Don't you just love the variety of day lilies. 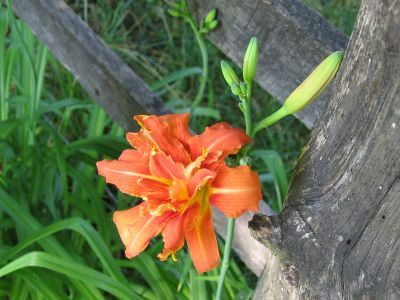 I also love oriental lilies. how beautiful, lilies are one of my favourite flowers. 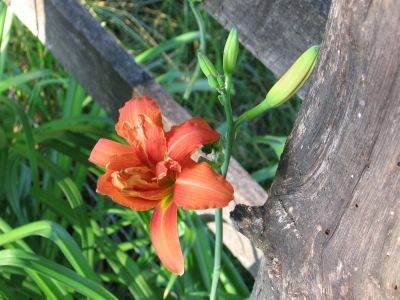 Hey, mine just bloomed today too. 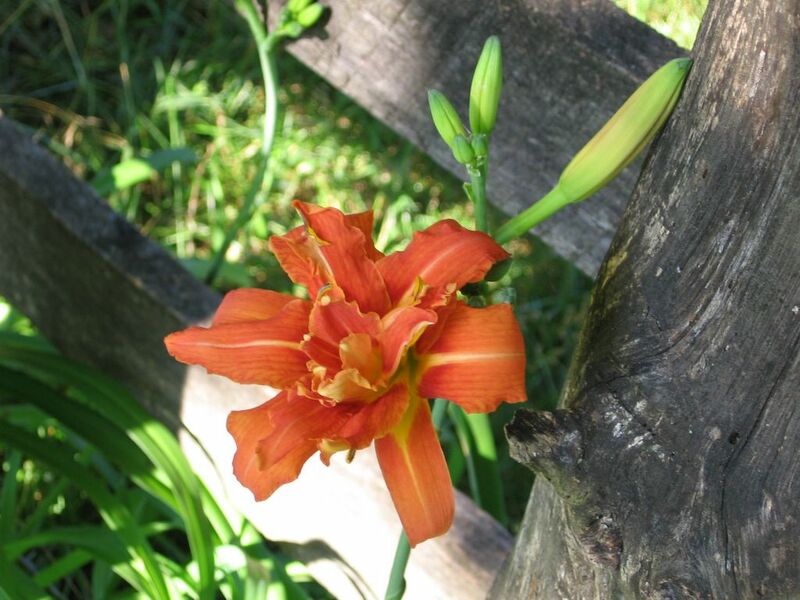 Sweet, sweet daylilies to bring us so much joy it can only be contained in a day! Hey Farmgirl...come visit us at Fiber Femmes...the original Fiber Femmes, Leslie and Sandra, are escapees from urbanization also. I dont know if there were much more people like you, angel. Thats an angel's work I think. I wish to do like you. But I can't I know. Photos are so profesional I think. I love your blog. Lots of thanks. At last; don't vote for war please. Ah, these lilies are so gorgeous, so good for the soul. Isn't it amazing how quickly they open up? We have some behind our house -- in the middle of a city. I love these lillies. So easy to grow too.